The first Luminator auxiliary headlight with 100% LED technology. 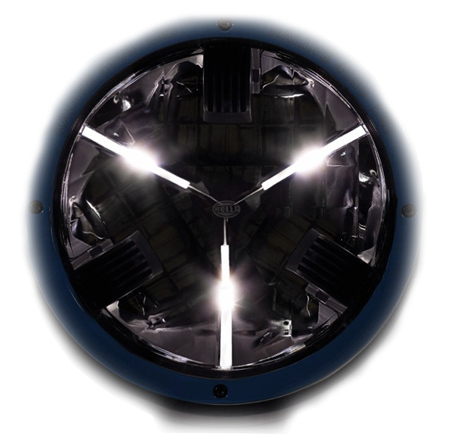 High performance LED for high beam and LED position light with Kartoval® optics. Never have to change bulbs again. 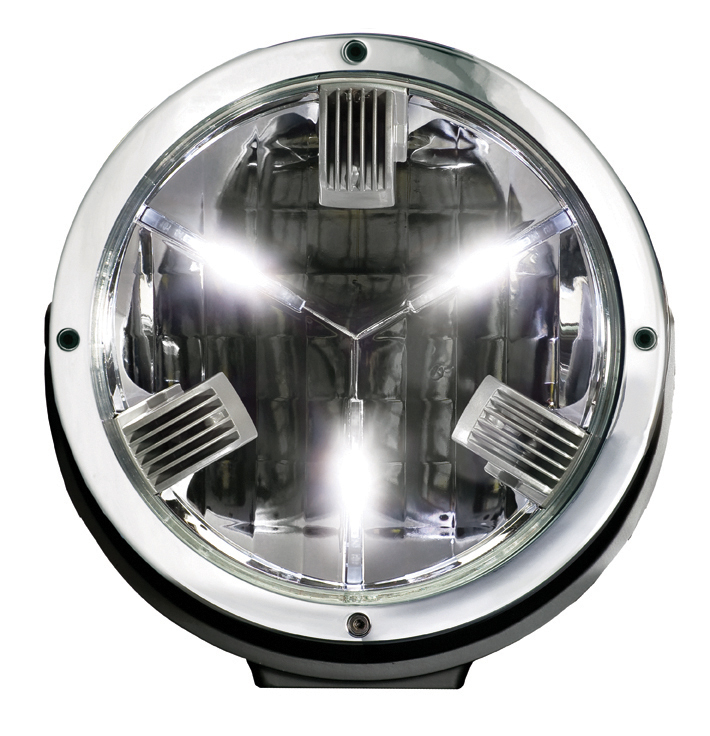 Full metal headlight with housing, reflector and attachment bracket made of die-cast aluminium. Multi-voltage. 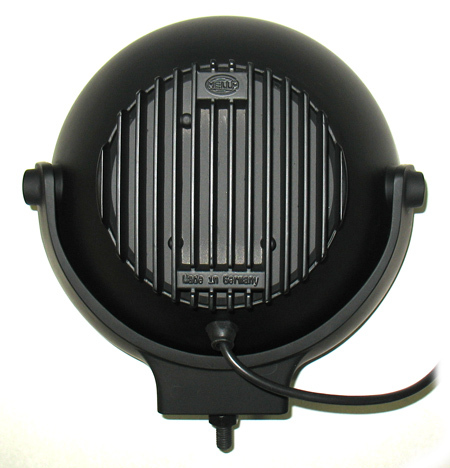 Black housing with chrome-plated glass retaining ring and the familiar flexible bracket system. 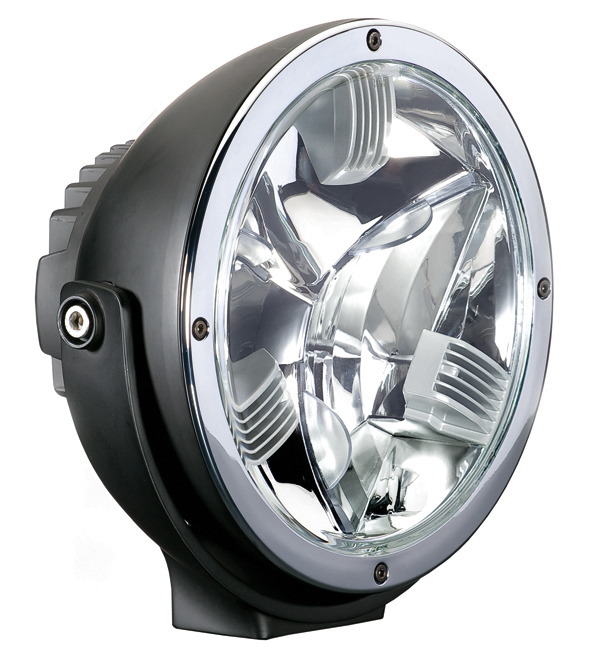 Each HELLA Luminator LED driving light features three high powered, high performance LED’s which are housed behind an impact resistant, hard coated polycarbonate lens. 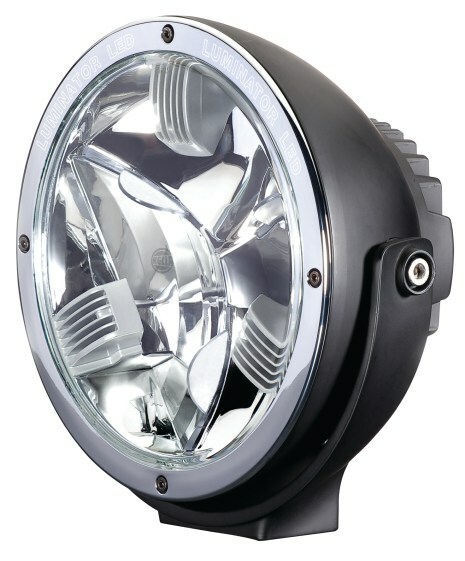 Add to this design a triple high boost free form reflector, in built LED position light and the weatherproof die cast aluminum housing and bracket, and you have a heavy duty LED auxiliary driving light that simply has no parallel. 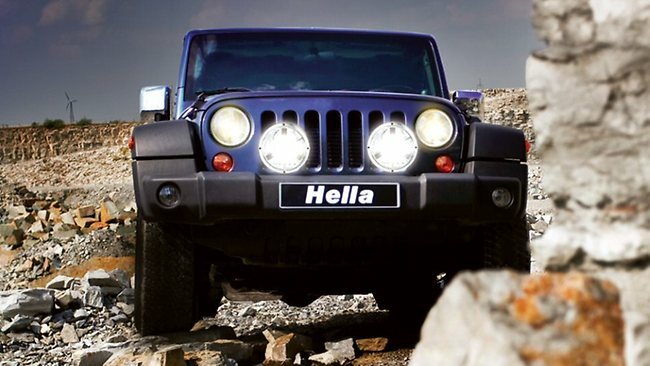 Each HELLA Luminator LED driving light also features HELLA’s Multivolt adaptability, enabling these world leading driving lights to be operated on everything from 9 volt to 34 volt systems. 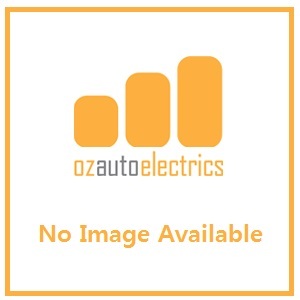 In terms of current draw, each HELLA Luminator LED auxiliary light uses a mere 1 Watt as a position light and just 30 Watts as a driving light that will illuminate up to 540 metres in distance (at 1 Lux).